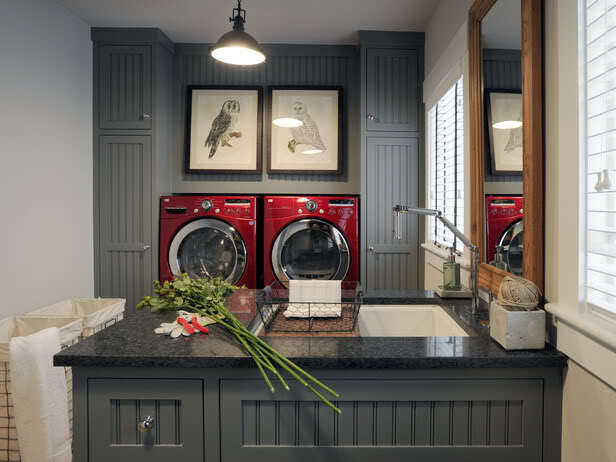 This scullery really appeals to me – I think the layout is fresh and different. The clever little island with a basin… it’s just something different for a change. 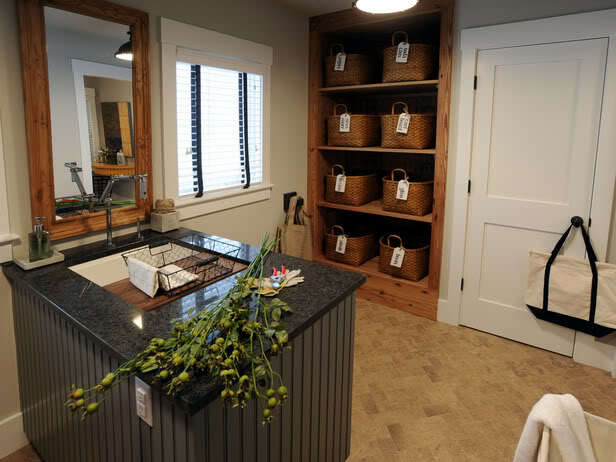 Then off course, the shelves and baskets are also lovely… everything comes together to make a delightful room! Inspiration for decoration: I like everything about this space – the color, design and all the small touches. 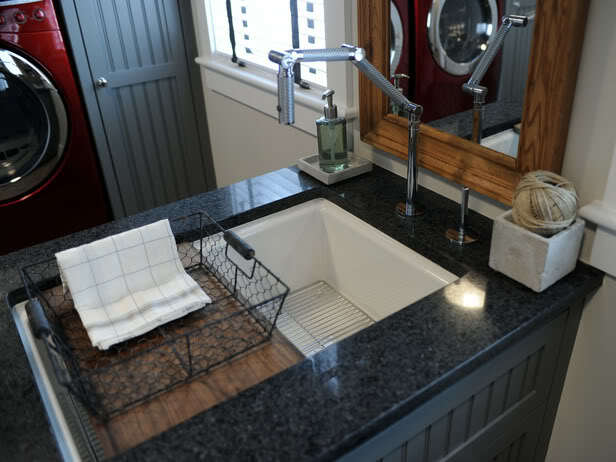 Decoration for inspiration: Sunk basin in scullery island. 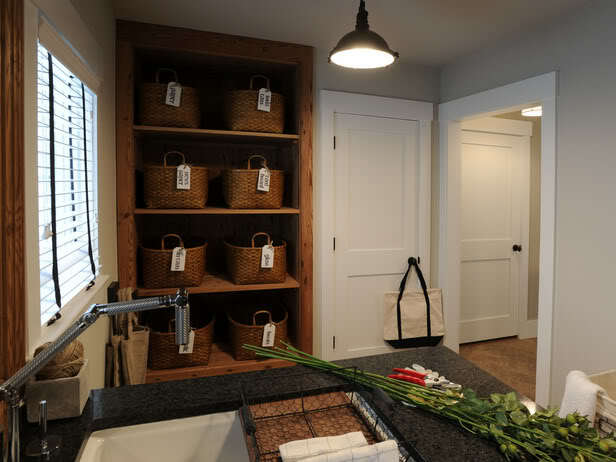 Decoration for inspiration: The shelving unit and baskets are pretty and add usefull storage space in this scullery.